The conversion of the entire medical-record-keeping establishment in the United States to electronic health records is well underway, and dozens of companies have stepped up to fill the role of EHR vendor. As you know, electronic health records aren’t entirely new – they’ve been around in some form or another for years – but their use was not mandated until recently. Along with the government mandate has come regulations intended to guard against abuse and keep patient records safe from malicious individuals or groups. These regulations are known as “meaningful use,” and a good EHR vendor will help you meet and exceed these regulations so you can take advantage of the financial incentives and avoid the eventual penalties for noncompliance. 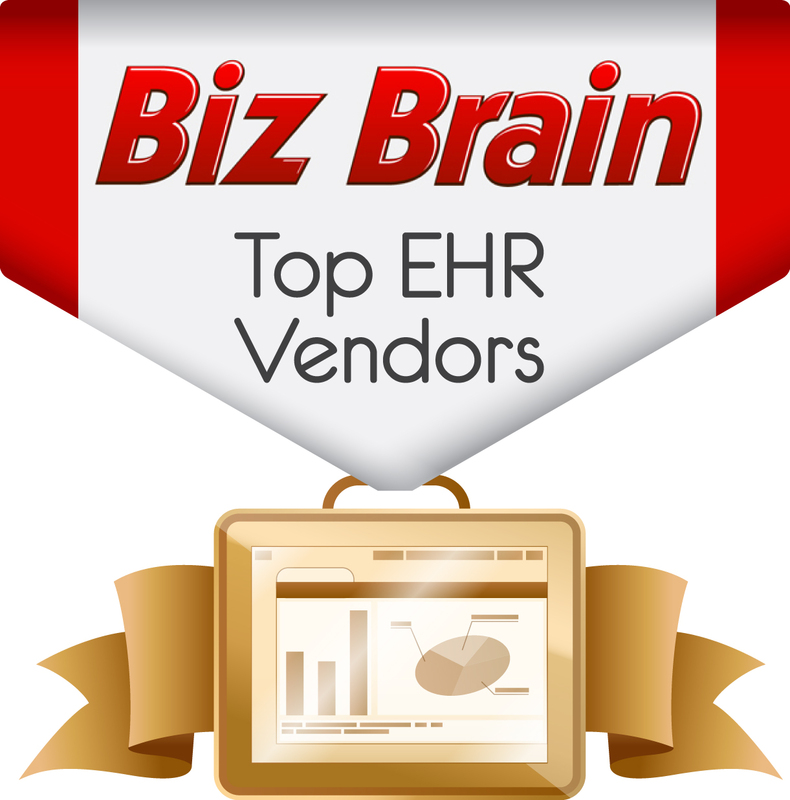 Because compatibility is an important issue when choosing an EHR, we developed this list based on the 20 most popular EHR vendors as determined by HealthIT.gov, one of the best resources for in-depth information. This list ranks the companies according to popularity and indicates the number of clients each company has reported as well as each company’s market share. This is intended to act as a guide that will allow you to look at the industry standard, as well as the industry’s up-and-comers, and make an educated evaluation as to which company will best serve your practice’s needs. 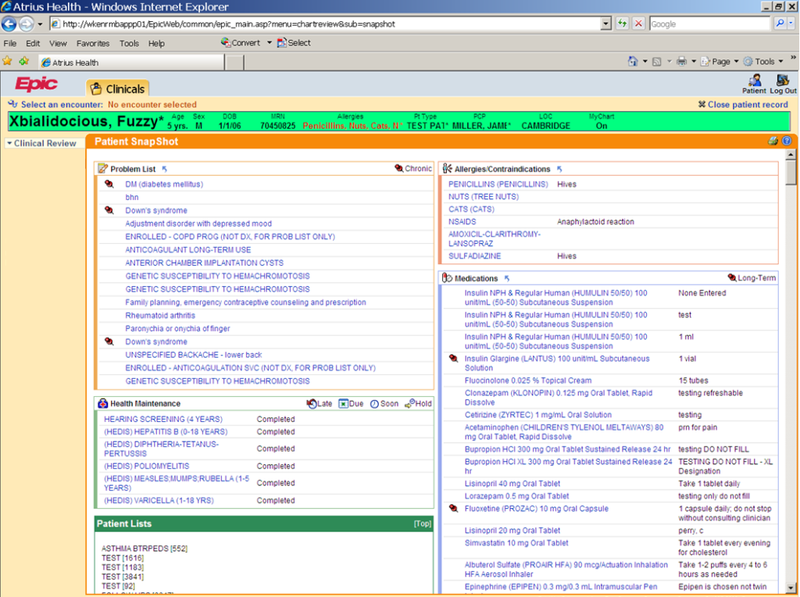 Epic Systems Corporation is a titan of healthcare information technology. Epic is a private employee-owned corporation founded in 1979, making it one of the oldest players in healthcare IT. The company has been ranked #1 Best in KLAS Overall Physician Practice Vendor for five years running. Epic caters its services to mid-sized and large practices and hospitals. 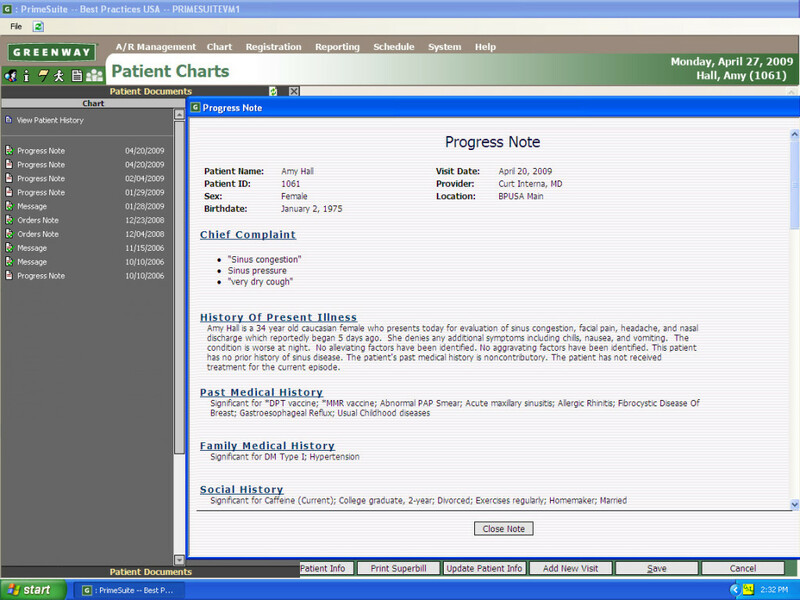 Allscripts is the most popular EHR vendor that caters to small and mid-sized practices. Such practices tend to be specialized, and that’s where Allscripts really shines. It provides flexibility and specialization-specific services to practices, ensuring that each gets exactly what it needs. 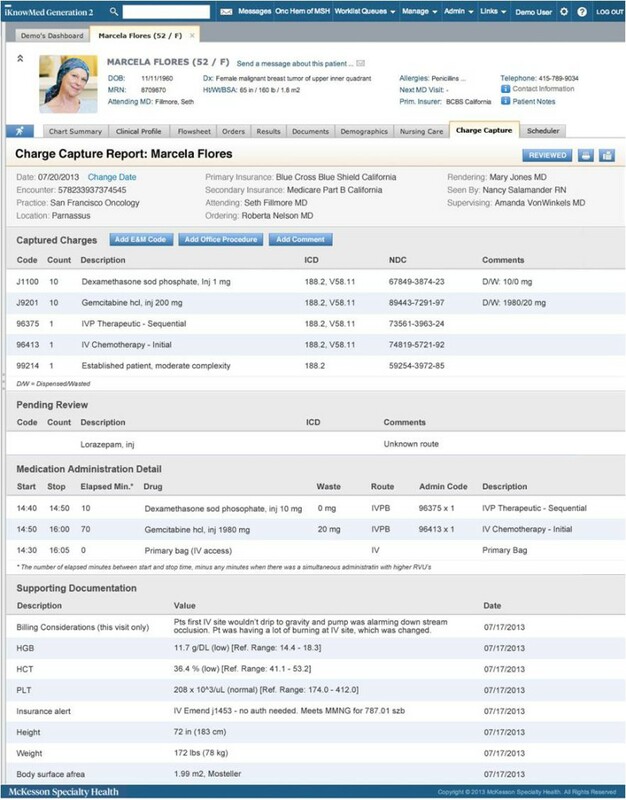 The system is designed for ease of use as well, allowing physicians to keep track of their most important information through a convenient, one-glance layout. 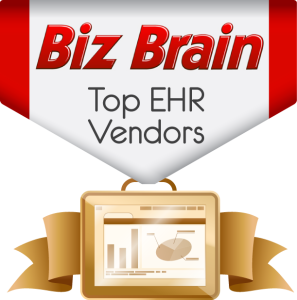 According to SK&A, eClinicalWorks is the most popular EHR vendor in the southern states and New England, with over 30% market share among the top five vendors in those regions. 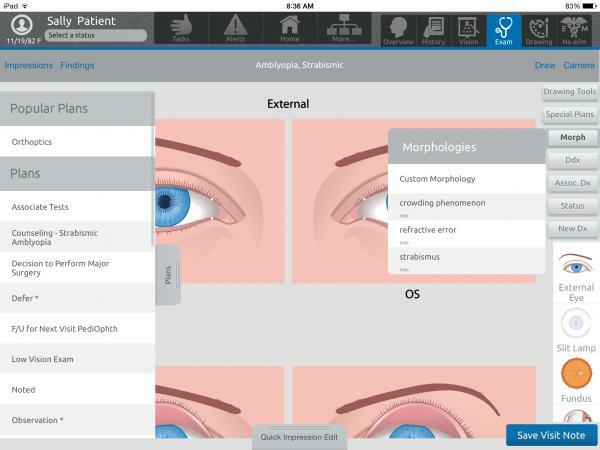 eClinicalWorks is one of the standout companies innovating in the field, and it shows. The company’s CEO claims that 60% of its customers are switching from previous systems. If the EHR field is changing, the companies benefiting from that change are worth considering. 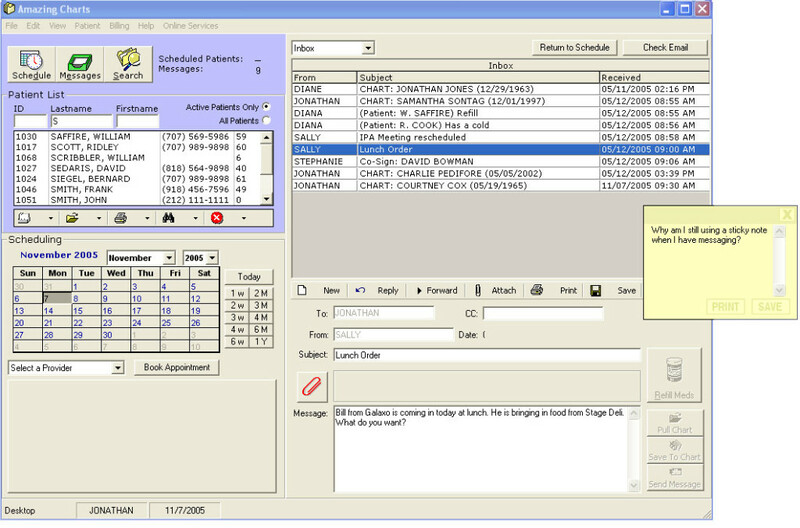 NextGen’s ambulatory EHR solution was designed with heavy input from physicians. The software is powerful, intuitive, and simple, characteristics that help reduce errors and maximize efficiency and accuracy. NextGen’s software is also meaningful use Stage 2 ready, which means it will be easier for practices to hit incentive marks. GE is a large company, and it caters to the needs of large practices. 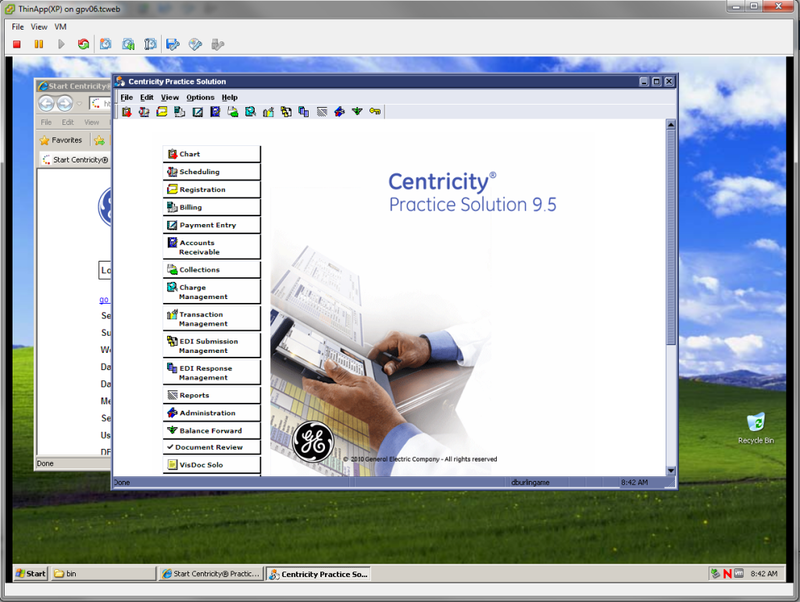 GE’s Centricity EMR is designed to integrate with practice management software to provide powerful solutions that meet the challenges large practices face. The larger the practice, the more complicated regulatory compliance becomes. GE Healthcare offers solutions designed to streamline compliance. 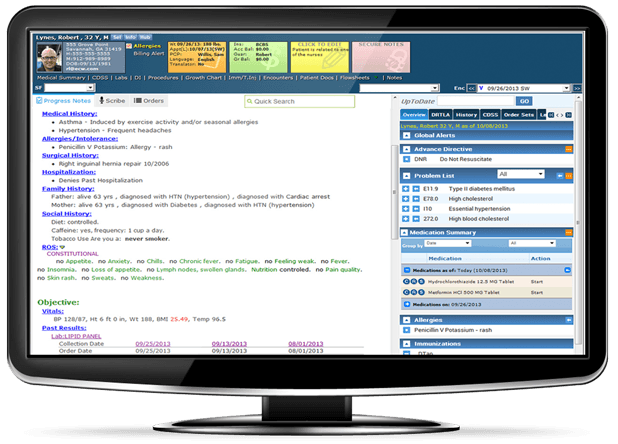 Greenway may not be the biggest EHR provider out there, but it offers a fully featured service designed for convenience and efficiency. Users can access the full system through an iPhone or iPad, and Greenway’s integrated services ensure customers will get the most out of the system. One of Greenway’s customers received the HiMSS Davies Award, which is awarded for the use of best practices in EHR system implementation. Cerner Corporation may not possess the lion’s share of the EHR market, but the company is a major health IT player and was one of only three EHR providers whose business grew in 2013. For three years in a row, Black Book has ranked Cerner the #1 Health-Information-Exchange-centric EHR provider for inpatient ambulatory care. Cerner’s software supports over 40 specialties and provides physicians with powerful customization tools that can be used to make sure the software fits with each practice. 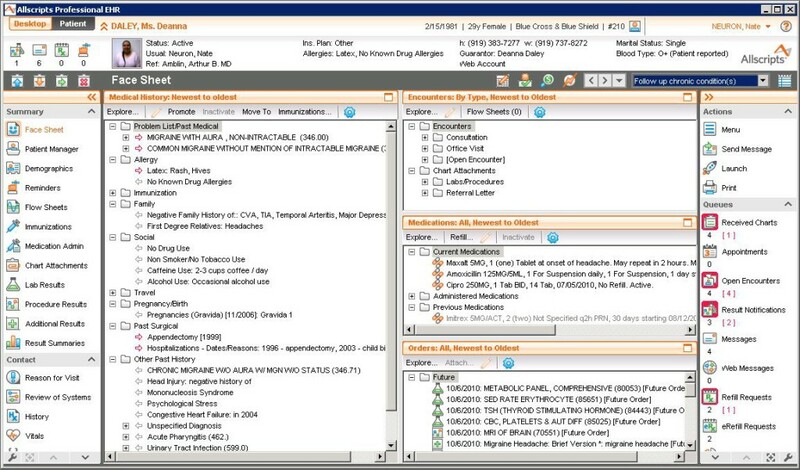 Practice Fusion is a leading innovator in the EHR field. It is pioneering the cloud-based EHR marketplace, and it has a unique pricing model. 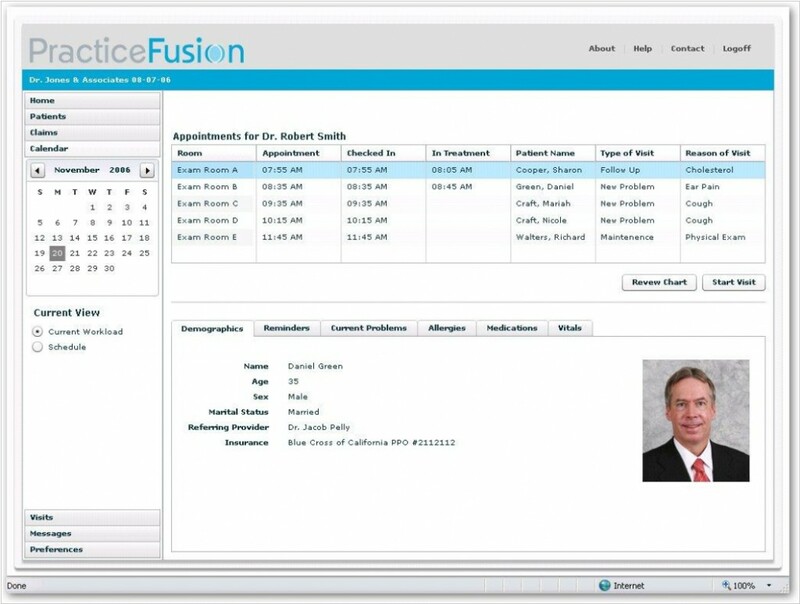 Practice Fusion’s EHR service is free. The company decided it would make money through advertising rather than licensing or subscription fees to its cloud-based EHR service. In the process, it has saved customers thousands of dollars per year. Athenahealth has cultivated quite a strong reputation for itself and its cloud-based EHR system. KLAS ranked Althenahealth #1 for usability, and that’s not an insignificant category. Healthcare staff should have an easy-to-use system they trust, to make focusing on patient care the priority. The last thing a physician needs is to add wrangling technology to his or her list of responsibilities. 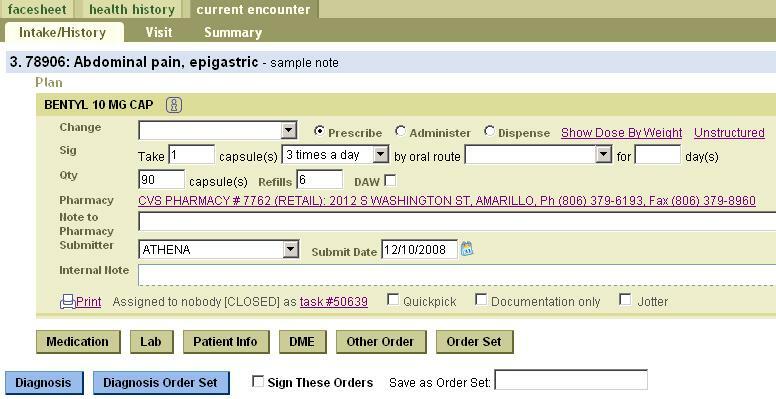 Athenahealth strives to make using its powerful cloud-based EHR system intuitive and painless, and it shows. McKesson doesn’t just have different tiers of service for different sized practices. It really went the extra mile and actually developed entirely different systems for different sized practices. This means instead of trying to create a one-size-fits-all product that it then attempts to mold to its clients, McKesson instead has three separate solutions for practices of various sizes, ensuring that each customer will have a program designed specifically to meet its needs based on its size. e-MDs is focused on streamlining your EHR system so you can focus on the things that matter: seeing and caring for patients. The program is comprehensive and strives to provide you everything you need a rate you can afford. Complying with Meaningful Use and HIPAA is a simple matter as the program integrates features that will clearly track your compliance. 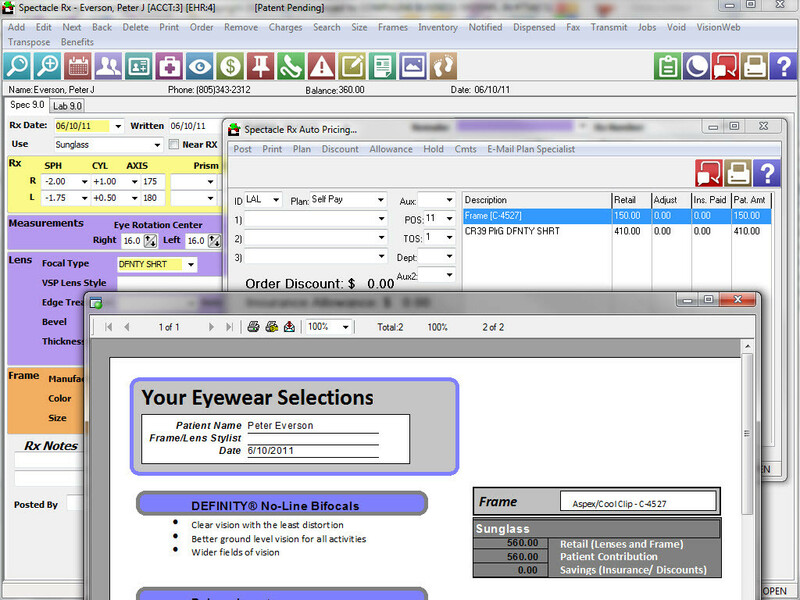 Eyefinity is another cloud-based EHR vendor. The company focuses on making information accessible to relevant parties regardless of their physical location as long as they have access to the Internet. This is convenient in an increasingly mobile society. Eyefinity streamlines the record keeping so efficiently that the company estimates its system can save you as much as one patient’s worth of time per day. 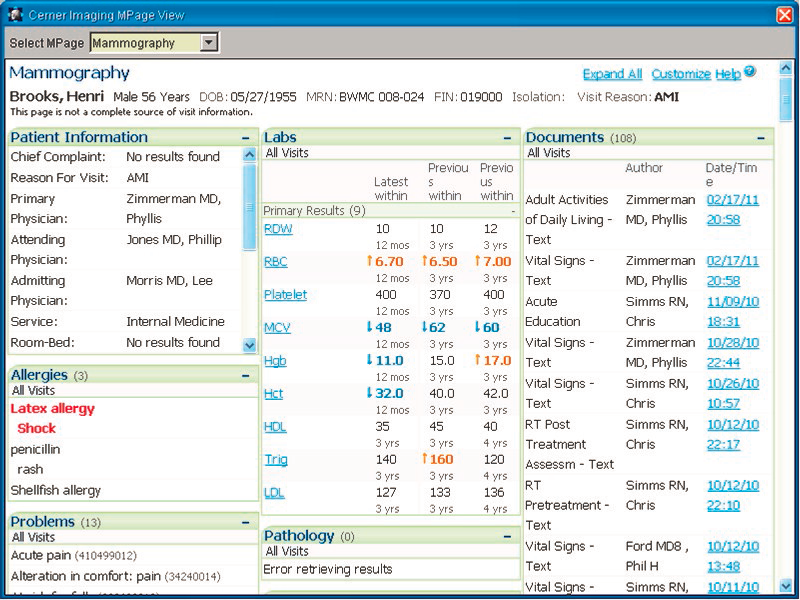 Amazing Charts was the first runner-up in the Best in KLAS awards for EHRs designed for practices of 1-10 physicians. Smaller practices can benefit from the company’s focus on affordability and ease of use. The latter is particularly important, because small practices often can’t afford much of a dedicated IT department and thus need a simple, reliable system that just gets the job done. 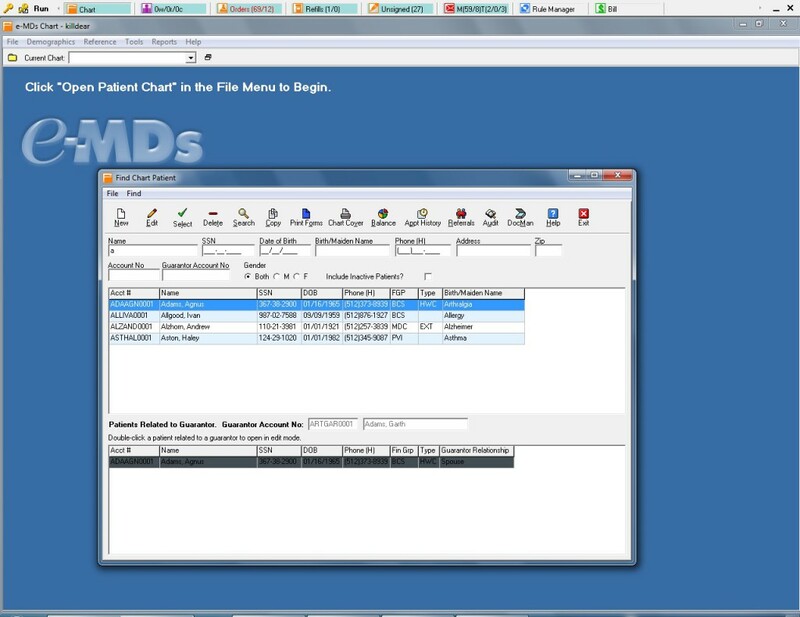 Medent offers a cloud-based, all-in-one service that provides an EMR, patient portal, and practice management software suite. The focus of the software is on automating as much as possible and streamlining interoperability. SRSsoft strives to make converting to its EHR system as painless and affordable as possible, whether you are switching from another provider or converting to EHR for the first time. 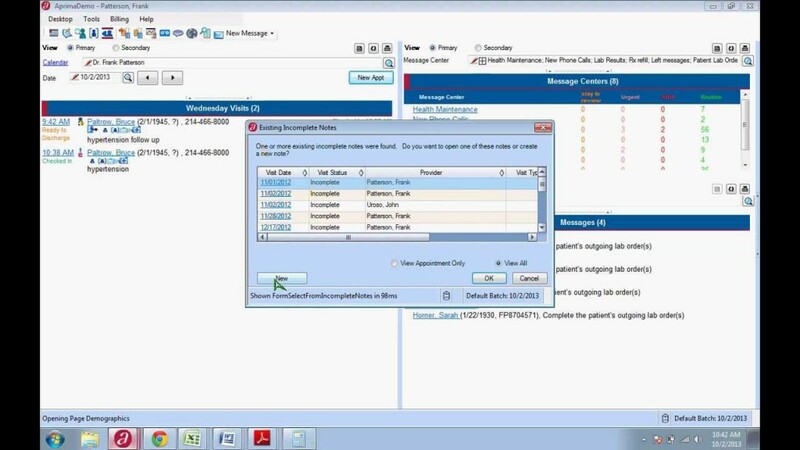 SRSsoft doesn’t just want to comply with meaningful use regulations, but it also wants to provide you with a software that will meet all standards and provide an actual increase in your practice’s quality of patient care to boot. Meditech may not be one of the largest EHR service providers, but that doesn’t mean it isn’t great at what it does. By January 2014, 740 of Meditech’s customers had already attested to meaningful use, and by January 2015, that number had grown by over 200. Meditech is proud that it is able to help its customers lead the charge on meaningful use attestation. 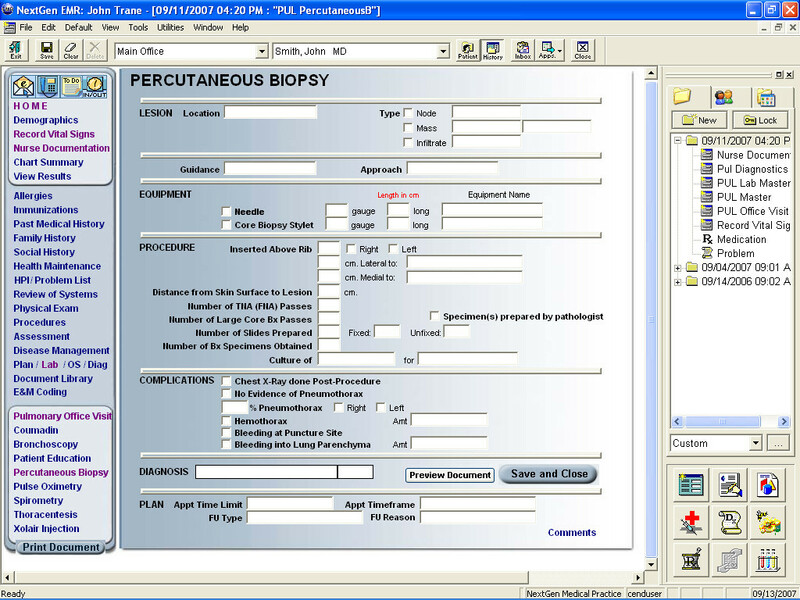 Compulink hits all the major issues with its EHR software. It’s optimized to maximize meaningful use incentives, achieves efficiency through fully customizable automation, and uses the full power of cloud-based technology. The software is also designed to work well with seven major medical specializations and features functionality for chiropractic practices. 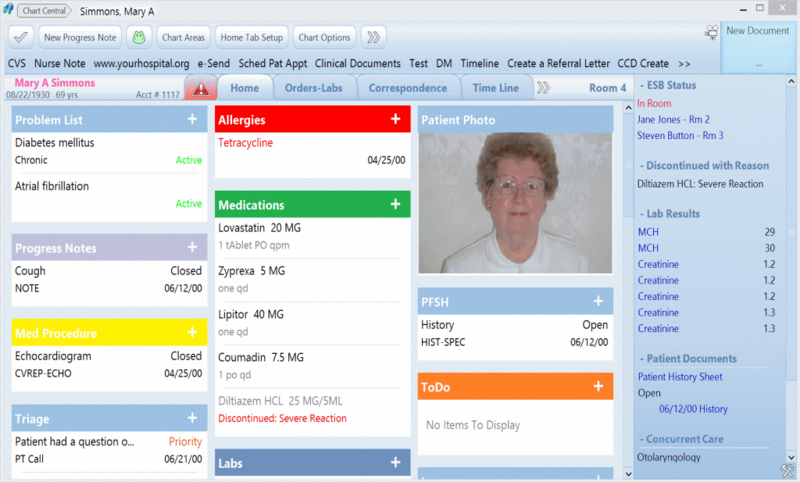 There are four primary goals Aprima has set for its EHR software. To improve quality of care; improve patient satisfaction; improve quality of life for the patient, the physicians, and the staff; and, finally, to improve your practice’s bottom line. The software is meaningful use Stage 2 certified, which means it should be a trivial matter for your practice to attest Stage 2 after implementation, and if you are switching EHRs and have already hit the marks for Stage 2 meaningful use, you should be able to stay at that level without a problem. 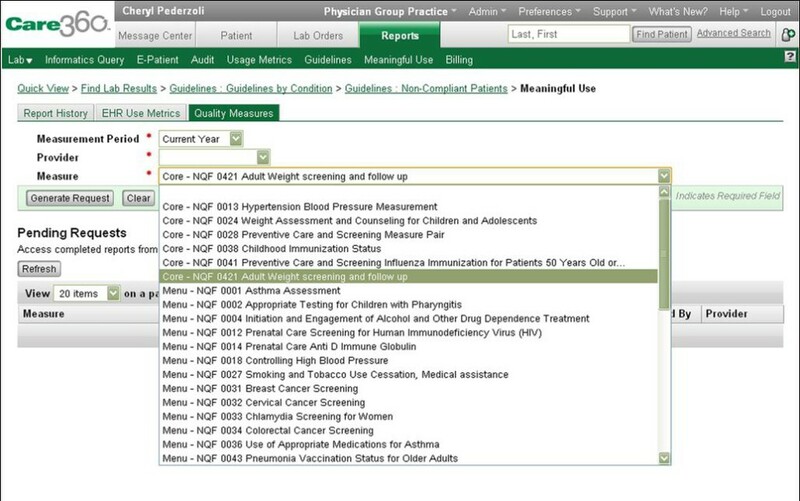 The name of Quest Diagnostics’ EHR software suite is Care360. 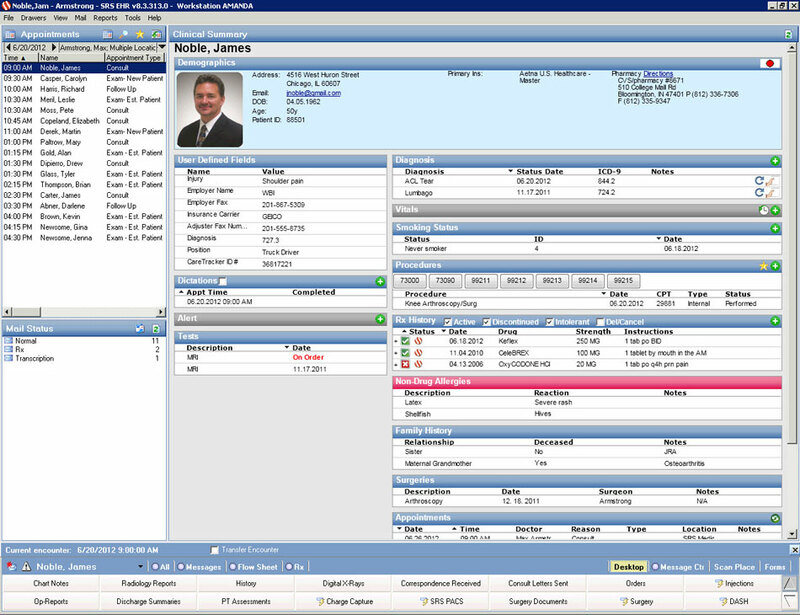 In addition to its EHR services, the suite is a full patient management system, and because the various components of the suite are customizable, you can get the features your practice needs, regardless of your size. You can manage the system from most smartphones or an iPad, and Quest uses a proven plan that will help you achieve meaningful use Level 2 if you haven’t already. 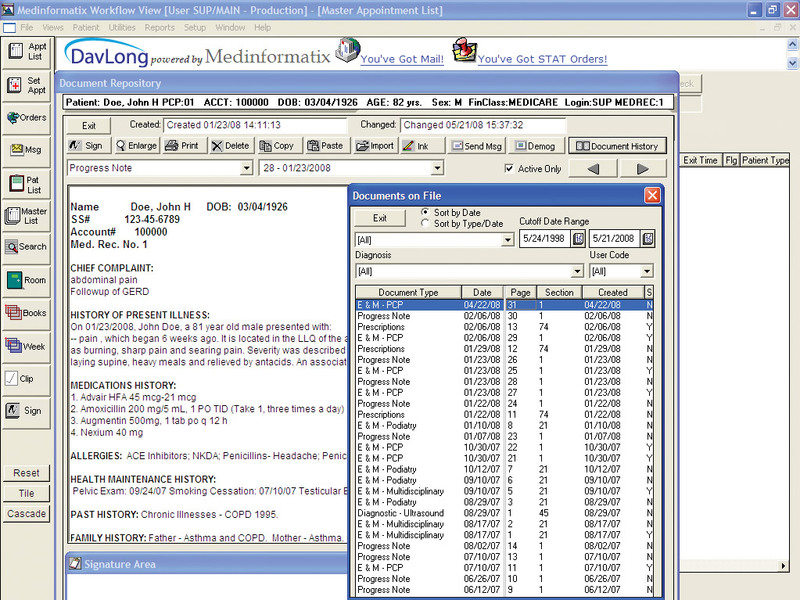 MedInformatix has been certified as a Complete EHR for Stage 2 of meaningful use. This is a solid software package designed for power and efficiency. The company is committed to providing its customers with comprehensive, high-quality health IT solutions, of which EHR vending is only the tip of the iceberg. You are welcomed to use the award badge in this article for your promotion or publication. A high resolution version can be found here.